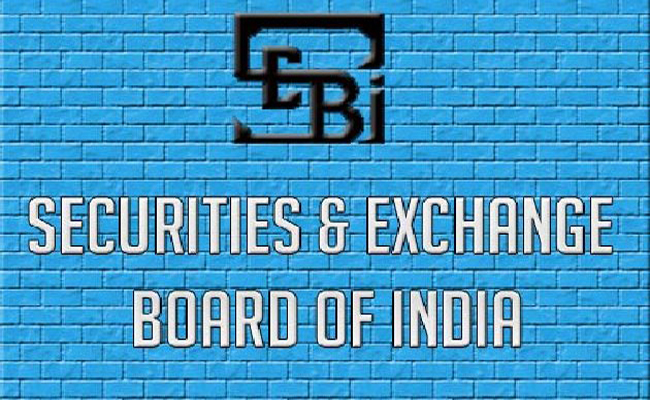 The Security and Exchange Board of India was established by the government of India on 12 April 1988 an interim administrative body to promote orderly and healthy growth of the securities orderly and healthy growth of the securities market and to protect investor’s rights. It is functioning under administrative control of Ministry of Finance. The SEBI was given statutory status on 30th January 1992 through and ordinance, later it was replaced by an act of parliament, Securities and Exchange Board of India Act, 1992. The capital market had witness a heavy growth during 1980’s. This ever expending investor population and market capitalization led to variety of malpractices on the part of companies, brokers merchant brokers, investment consultants involved in Securities Market. Such malpractices and unfair practices have eroded investor confidence and multiplied investor grievances. The example of malpractices include existence of self-styled merchant bankers, unofficial private placement, rigging of prices unofficial premium in new issues, non-adherence of provisions of the companies act, violation of rules and regulation of stock exchange listing requirements, delay in delivering shares etc. The government and stock exchanges were rather helpless in redressing the investor’s complaints because of lack of proper penal provisions in the existing legislation. Market intermediaries play a very important role in development of the market by providing a variety of services. Market intermediaries can be classified on the basis of the services provided by them. Typically, they are classified as:merchant bankers, stock brokers, bankers to issues, debenture trustees, portfolio managers, registrars to issues, share transfer agents, function in inter alia in the primary markets. These entities are regulated by SEBI. Implementation of the Regulations entails a multi-stage process of supervision through on-site and off-site inspections, enforcement through initiation of adjudication, enquiry against violations of rules and regulations, and prosecutions. Inspections of intermediaries are carried out directly by SEBI or by stock exchanges, depositories, etc. SEBI conducts inspections on a periodic basis to verify the compliance levels of intermediaries. It also conducts specific/ limited purpose inspections on the basis of complaints, references, surveillance reports, specific concerns etc. SEBI also directs stock exchanges and depositories to carry out periodic/specific purpose inspections of their members/participants. Under various regulations, SEBI seeks information from the stock brokers, sub brokers, and other intermediaries. Loan securities of the East Indian Company used to be traded towards close of the 18th century. By 1830’s, the trading in shares of banks started. The trader by the name of broker emerged in 1830 when 6 persons called themselves as share brokers. This number grew gradually. Till 1850, they traded in shares of banks and securities of the East India Company in Mumbai. In 1850, the Companies Act introducing limited liability was enacted heralding the era of modern joint stock company which propelled trading volumes. The great and sudden spurt in wealth produced by cotton price propelled setting up companies for every conceivable purpose after the American Civil War broke out in 1861and exports increased from India. Between 1863 and 1865, the new ventures raised nearly Rs.30 crore in the form of paid up capital. The subscription for shares was in large numbers and the people woke up only when the American Civil war ended. Then all rushed to sell their securities but there were no buyers. They were left with huge mass of unsaleable paper. The depression was so severe that it paved way for setting up of a formal market. On 3rd December 1887, the brokers affected from the depression established a stock exchange called ‘Native Share and Stock Brokers’ Association’. This laid the foundation of the oldest stock exchange in India. The word ‘native’ indicated that only natives of India could be brokers of the Exchange. In 1880s a number textile mills came up in Ahmedabad. This created a need for trading of shares of these mills. In 1894, the brokers of Ahmedabad formed “The Ahmedabad Share and Stock Brokers’ Association”. The 1870s saw a boom in jute prices, 1880s and 1890s saw boom in tea prices, then followed coal boom. When the booms ended, there were endless differences and disputes among brokers in eastern India which was home to production of jute, tea and coal. This provoked the establishment of “The Calcutta Stock Exchange Association” on June 15, 1908. Control of capital issues was introduced through the Defence of India Rules in 1943 under the Defence of India Act, 1939 to channel resources to support the war effort. The control was retained after the war with some modifications as a means of controlling the raising of capital by companies and to ensure that national resources were channelled to serve the goals and priorities of the government, and to protect the interests of investors. The relevant provisions in the Defence of India Rules were replaced by the Capital Issues (Continuance of Control) Act in April 1947. Though the stock exchanges were in operation, there was no legislation for their regulation till the Bombay Securities Contracts Control Act was enacted in 1925. This was, however, deficient in many respects. Under the constitution which came into force on January 26, 1950, stock exchanges and forward markets came under the exclusive authority of the central government. Following the recommendations of the A. D. Gorwala Committee in 1951, the Securities Contracts (Regulation) Act, 1956 was enacted to provide for direct and indirect control of virtually all aspects of securities trading and the running of stock exchanges and to prevent undesirable transactions in securities. In 1980s and 19990s, it was increasingly realized that an efficient and well developed securities market was essential for sustenance of economic growth. A major initiative of regulation was establishment of a statutory autonomous agency, called SEBI, to provide reassurance that it is safe to undertake transactions in securities. It was empowered adequately and assigned the responsibility to (a) protect the interests of investors in securities, (b) promote the development of the securities market, and (c) regulate the securities market. Its regulatory jurisdiction extends over corporates in the issuance of capital and transfer of securities, in addition to all intermediaries and persons associated with securities market. All market intermediaries are registered and regulated by SEBI. They are also required to appoint a compliance officer who is responsible for monitoring compliance with securities laws and for redressal of investor grievances. The primary market is the part of the capital market that deals with issuing of new securities. Companies, governments or public sector institutions can obtain funds through the sale of a new stock or bond issues through primary market. This is typically done through an investment bank or finance syndicate of securities dealers. The process of selling new issues to investors is called underwriting. In the case of a new stock issue, this sale is an initial public offering (IPO). Dealers earn a commission that is built into the price of the security offering, though it can be found in the prospectus. Primary markets create long term instruments through which corporate entities borrow from capital market. This is the market which deals in new securities. That is why new share or debentures are offered for the first time. Therefore it is also referred to as the new issue market (NIM). Here the buyers obtain new securities. In other words companies issue securities directly to the investors. Companies obtain money & in turn issues certificates. Issue made of this type is known as primary issue. Once issued the securities typically trade on a secondary market such as a stock exchange, bond market or derivatives exchange. A major initiative of regulation was establishment of a statutory autonomous agency, called SEBI, to provide reassurance that it is safe to undertake transactions in securities. It was empowered adequately and assigned the responsibility to (a) protect the interests of investors in securities, (b) promote the development of the securities market, and (c) regulate the securities market. Its regulatory jurisdiction extends over corporates in the issuance of capital and transfer of securities, in addition to all intermediaries and persons associated with securities market. All market intermediaries are registered and regulated by SEBI. They are also required to appoint a compliance officer who is responsible for monitoring compliance with securities laws and for redressal of investor grievances. The structure and processes of the SEBI have been developed over the year. In 1602 when Amsterdam stock exchange was admitted by the East India Company for dealings in its own securities the establishment of the native share and stock Brokers Association (now remand as Bombay Stock Exchange) in 1875 in the existing India undoubtedly marked a beginning of the stock exchange in India despite being the first ever stock exchange in Asia. The earliest legislative efforts to regulate the securities market in India was made by the Bombay Securities Contracts control act 1925, which was enacted to regulate and control certain contras acts for purchase and sale of securities in the city of Bombay. The primary market is the market which provides a conduit for sale of new securities. This market provides chance to issuers of securities, the government as well as corporate, to raise capital to meet their requirements of investments or for liberation of their obligations. Securities laws are needed mainly because of the unique informational needs of the investors because selling securities to investors in the various capital markets provides the means for corporations, governments and government agencies to satisfy their need for capital. And to regulate and control various volatile natured reforms of the market the regulation of the capital market is highly needed. The security market is regulated by various agencies, such as the Department of Economics Affairs (DAE), the Department of Company Affairs (DC), the Reserve Bank of India (RBI) and the SEBI. The multi crore securities scam that rocked The Indian financial system in 1992 (Harshad Mehta, The 1992 Security Scam)had the existing regulatory framework to be fragmented and inadequate and hence, a need for an autonomous, statutory, and integrated organization to ensure the smooth functioning of capital market was felt. To fulfil this need, the Securities and Exchange Board of India (S.E.B.I), which was already in existence since April 1988, was conferred statutory powers to regulate the capital market. The SEBI got legal teeth through an ordinance issued on 30 January 1992. The ordinance conferred wide- ranging powers on the SEBI, including the authority to prohibit insider trading and regulate substantial acquisition of shares and takeover of business. The function of market development includes containing risk, board basing, maintaining market integrity and promoting long-term investment. The SEBI Act, 1992 which establishes the SEBI with four-fold objectives of protection of the interests of investors in securities, development of the securities market, regulation of the securities market and matters connected therewith and incidental thereto. The capital market, i.e., the market for equity and debt securities is regulated by the Securities and Exchange Board of India (SEBI). The SEBI has full autonomy and authority to regulate and develop the capital market. The government has framed rules under Securities Contracts (Regulation) Act, 1956, Securities and Exchange Board of India Act, 1992 and Depositories Act, 1996. The SEBI has framed regulations under the SEBI Act and the Depositories Act for registration and regulation of all market intermediaries, for prevention of unfair trade practices, and insider trading. As everyone could know that these i.e. the Government and the SEBI issue notifications, guidelines and circulars which need to be complied with by market participants. All the rules and regulations are administered by the SEBI. The judgment by the Delhi high court in Kimsuk Krishna Sinha v. SEBI throws interesting light on the role of SEBI in ensuring Correct Disclosure in offer documents and actions that SEBI can or should take. Act, 1956, the prospectus shall contain all the information which shall be true and adequate so as to facilitate the investors to make an informed decision on the investments in the issue. The information must be substantial enough for the investor to make an informed choice. In addition to regulations regarding the disclosure requirements SEBI also looks into the fact that investor does not get be fooled by misleading advertisement. SEBI has issued guidelines for the same to ensure that the advertisement is truthful, fair and clear. For e.g. it shall be the responsibility of the Lead Manager to ensure strict compliance with the code of advertisement by the issuer company. Advertisements shall not be so framed as to exploit the lack of experience or knowledge of the investors. No advertisement shall directly or indirectly discredit other advertisements or make unfair comparisons and it shall be accompanied by a standard warning in legible fonts. This is all done by SEBI with an aim to protect the investor, in reality the term “Investor Protection” is a very broad term encompassing a range of measures intended to protect the investors from malpractices of companies, brokers, merchant bankers, etc. Since all investments include some risk element, so “Investors Beware” should be the motto of all programs for enlistment of savings for investment. The investor can suffer the loss either by his own mistake of carelessness or by malpractice done by the company or by any broker. For the latter part they have every right to complain. The main purpose of SEBI behind all the above mentioned regulations is to protect the investor from being befooled. By providing all this information SEBI is trying to protect the shareholders interest by making him do transactions on the basis of informed decisions. As part of SEBI’s efforts to protect investors’ interests, it has initiated many primary market reforms which include improved disclosure standards in public issue documents, introduction of prudential norms and simplification of issue procedures. Risks are inherent in any competitive market, and investors benefit from competitive markets so therefore management of the intermediaries are required to develop and implement effective processes and management systems commensurate with their business operations and risk characteristics in accordance with the general principles set out in the regulation. In order to interpose between issuers and investors, regulators recognize various classes of intermediaries in the capital market. Regulation through intermediaries has been found, perhaps more effective in certain spheres of activity. SEBI, over the period, has recognized many types of capital market intermediaries in India. Intermediaries such as merchant bankers, underwriters, debenture trustees, bankers to an issue, registrars to an issue and share transfer agents and portfolio manager are the intermediaries that function in the inter alia in the primary markets. Regulating and registering the workings of such intermediaries’ forms and essential function of the SEBI. Company insiders have information unavailable to the public. These individuals have firsthand knowledge of what the company is doing and better information concerning what the future might hold. If there are likely problems for the company in the future, such as poor earnings, slow growth, or lawsuits, then insiders can sell their stock before these events happen. When this information becomes public, the stock’s price should decrease. However, this price decrease occurs after the insider has sold his or her shares, thus avoiding the loss. In this case the insider beats the market. On the other hand, insiders know when their company has a bright future, high potential earnings, innovative products being developed, etc. When the future looks bright, insiders can buy shares before the public becomes aware of these facts. The price, later, fully increases to represent the positive information. In both cases, insiders use private information to beat the market. in 1997 extended the scope of insider trading by including the misappropriation theory which said that a person commits insider trading when he obtains material confidential information and uses it in securities transactions in breach of fiduciary duty or similar relationship of confidence to the source of information but not necessarily to the shareholders of the company whose stocks are traded. It is said that the information captured by insider trading modifies the responsiveness of returns to annual unexpected earnings and also the information captured by insider training differs from that captured by annual unexpected earnings. Insider trading weakens the confidence of the investor in the fairness and honesty of the securities markets and this is reason SEBI has treated the recognition and suit of insider trading violation as one of its main concern. SEBI’s first enactment to restrain insider trading, namely, SEBI (Prohibition of Insider Trading) Regulations, 1992 did not make much advancement due to poor enforcement. These regulations, again, have been amended substantially over time. SEBI’s current approach centers around prevention of insider trading by requiring listed companies, intermediaries, and advisors to set up internal systems for preventing insider trading and reporting on compliance or otherwise to SEBI. The insider trading regulations provide for disclosure of smaller amounts and provides for disclosure on selling shares (something which the takeover code does not mandate). Regulation 2 (e) of SEBI (Prohibition of Insider Trading) Regulations defines an ‘insider’ as a person connected or deemed to be connected and who is reasonably expected to have access to any unpublished price sensitive information in respect of securities of a company, or who has received or has had access to such unpublished information. The directors, officer, employers of the company, & persons involving a professional or business relationship including Charted accountants and legal advisors are connected person as per regulations 2 (c). The insider trading Regulations provide for disclosure of smaller amounts and provides for disclosure on selling shares (something which the takeover code does not mandate). Regulation 3 & 3A enumerates the various acts that an insider and company are prohibited to do; these regulations prohibit an insider and a company to ‘deal’ in certain circumstances; The term ‘deal’ is defined under regulation 2(d) which describe dealing in securities to mean an act of subscribing, buying, selling or agreeing to do so by any person either as principal or agent. The Securities and Exchange Board of India (Prohibition of Insider Trading) Regulations 1992 requires that a person who is connected with a listed company and is in possession of any unpublished price sensitive information likely to materially affect the price of securities of company, shall not (i) On his behalf or on behalf of any other person deal in securities or (ii) Communicate such information to any other person, who while in possession of such information shall not deal in securities. “Price sensitive information” means any information which relates directly or indirectly to a company and which if published is likely to materially affect the price of securities of company. It is thus reasonable to claim that the regulatory framework is fairly comprehensive in its coverage of the securities trade. SEBI has mandated an enormous increase in the flow of information at the time of listing, after listing and relating to the trade. The long history of the functioning of the capital market and securities industry in India suggest that voluntary disclosure may not have become a pervasive trend and that without a regulatory push, there would have been underproduction of information. The cost of transaction and the risk of settlement have been minimized, making Indian stock exchanges one of the safest and the lowest cost securities markets in the world. The Indian mechanism for securities issuance is among the more sophisticated in the world with the introduction of the guidelines for book-building of issues. The complex web of contracts that govern the issuance process provide a mechanism by which the responsibility for defaults and non-compliance may be affixed on either or both of the important factors in the issuance process, namely, the issuer and the issue manager. Many of the agency problems that affected the securities trade have been addressed through the corporatization and demutualization of securities exchanges. i. SEBI promotes training of intermediaries of the securities market. iii. SEBI has permitted internet trading through registered stock brokers. iv. SEBI has made underwriting optional to reduce the cost of issue. v. Even initial public offer of primary market is permitted through stock exchange. vi. SEBI undertakes steps to educate investors so that they are able to evaluate the securities of various companies and select the most profitable securities. viii. SEBI has issued guidelines to protect the interest of debenture-holders wherein companies cannot change terms in midterm. SEBI has achieved considerable progress in terms of detecting and disposing of instances of non-compliance. There have also been concerns that SEBI awards penalties too late and too little in comparison to the financial scale of the infraction. SEBI is also said to have had a poor record in carrying its award through the appellate and the judicial systems. i. Dematerialization of share certificates; The need for this initiative was felt to avoid the threat of forgery or theft of share certificates coupled with inordinate delay by transfer agents and post offices. ii. Approvals to Foreign Institutional Investors and is consistently revising the FII investment limit in both corporate as well as government debt. iii. Keeping with the times, SEBI has also introduced e-IPO procedure for electronic bidding in public offers to help investors bid for shares in a cost-effective manner. iv. SEBI has a web-based centralized grievance redress system called SEBI Complaints Redress System – SCORES for assisting investors to lodge their complaints in a structured way. With effect from May 15th 2015 there is a broadening to the definitions of unpublished price-sensitive information (USPI), insider and connected persons, the legal perspective to have graver consequences for company officials involved in selective exchange of information. The Budget talks of 2015 proposed the merger of commodity futures market regulator Forward Markets Commission (FMC) with stock market regulator Securities and Exchange Board of India (SEBI), a move intended to strengthen regulation of the 11-year commodities market, facilitate domestic and foreign institutional participation and launch of new products like options. SEBI would therefore find it easier to regulate trading of non-farm products like gold, silver, crude oil and base metals, of which the latter two are traded in the paper form and are non-deliverable. # Sabarinathan, G., Securities and Exchange Board of India and the Indian Capital Markets – A Survey of the Regulatory Provisions (July 30, 2004). IIM Bangalore Research Paper No. 228.